Andrews Automation recently completed projects for a packaging manufacture that has delivered significant savings to these organisations. They said, “The new Andrews system pallet conveyor gives us a quick return, cost savings and some real efficiencies. It’s a no-brainer’. The auto wrapping pallet conveyor system installed for them provided improved efficiencies through delivering savings on raw materials and an increase in the ‘wrapping rate’. The savings on wrap alone were a bonus-over £20k. This, combined with a buffer and feed to a forklift that deliver labour and efficiency savings will ensure the system pays for itself within a year. The system we designed, manufactured and installed for this manufacturer involved many challenges to move the palletised goods from different sections of the site, wrap and strap tem and then feed them to a forklift. 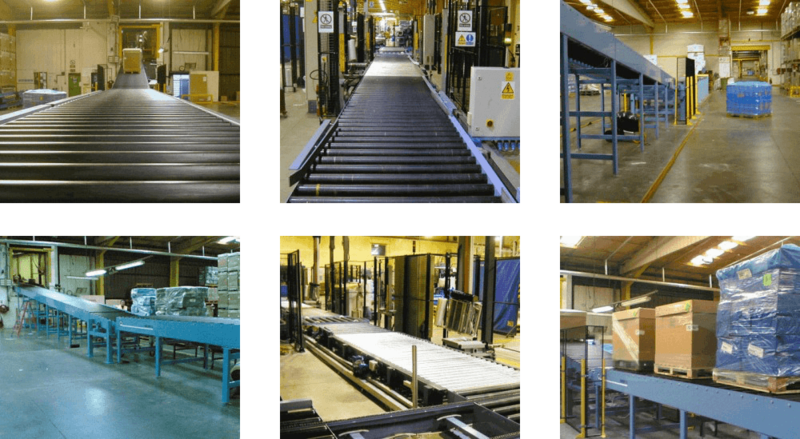 The images below show the pallet conveyor system, wrapping system and the feed conveyor where the pallets are collected by forklift truck. We used the very latest technology to design and manufacture this system which is managed by our PLC based control system. Using this system allowed us to provide the best possible solution for the company. Whatever your business requirements are, we can design a bespoke system to your specification. Please give us a telephone call today to discuss how we can produce the right solution for you.